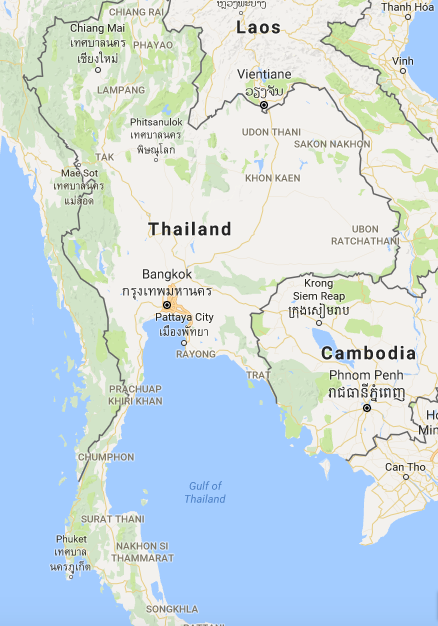 Click here to go to Google Maps of Thailand and Cambodia. Snorkeling Ko Rok with Dive & Relax – Underwater Magic in Thailand! 03/31/17Our Ko Rok snorkeling trip with Dive and Relax was a blast — pretty fish and vibrant reefs were highlights of an intimate tour. Kanchanaburi, Thailand – History, Caves, Monkeys & Exotic Fruit! 03/03/17On a custom private tour with Mellow Adventures we saw the Death Railway, Lawa Cave and other Kanchanaburi highlights. Erawan Falls – Jewel of Erawan National Park – with Mellow Adventures 02/07/17Mellow Adventures Review: An incredible visit to Erawan Falls at Erawan National Park in Kanchanaburi Thailand – Serenity & beauty! One Day in Bangkok – A trip on the Chao Phraya Tourist Boat! 01/18/17With just one day in Bangkok Thailand, a fun tour is the Chao Phraya tourist boat hop-on-hop-off ticket. Here are some tips.